My Book Boyfriend is a weekly meme hosted by The Unread Reader, in which you select your favorite male character from a current read or your favorite book overall. One of my favorite books is 'Nevermore.' And I absolutely love Varen Nethers. His dark aura, his poetic lifestyle, and his mysteriousness. He's a guy a good girl would love being around even though he might not be right for her. It's kind of hard to put a face to this hottie. However, Shiloh Fernandez comes close enough. This guy is just so...unearthly gorgeous! How bout you? Who's your Book Boyfriend? This book has been out forever and, strangely, I still haven't gotten around to read it! But you've just convinced to me finally go to the library and get it! 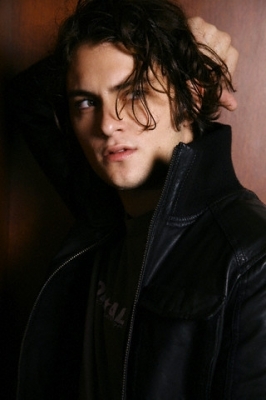 I could totally see Shiloh Fernandez fitting Varen's description! And I loved him in Red Riding Hood the movie! I´m dying to read this book! And jeez! it seems today is the Shiloh´s day, lol! I love him!!! You should so read this..it's one of the best books i've ever read! Never read this, but I'll have to check it out. Shiloh is so pretty! Aaaah, I SO need to read Nevermore! And Shiloh Fernandez? HELL YES! havent started this series,but he looks absolutely delicious!! <3 great pick!